In Mills v. Mills, 447 N.J. Super. 79 (Ch. Div. 2016), the family court was confronted with the issue of whether the defendant (payor spouse) should receive a reduction in his alimony obligation upon the loss of long-term employment and his subsequent hire at a new job – at a significantly lower salary. The parties were divorced in 2013 after thirteen years of marriage. The parties agreed that the defendant would pay limited duration alimony of $330 per week for eight years, and child support of $200 per week pursuant to the New Jersey Child Support Guidelines. At the time of their agreement, the defendant was employed as a district sales manager for a company selling residential and commercial flooring services, and plaintiff worked as a teacher. 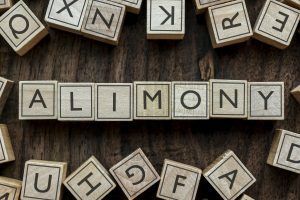 Their settlement agreement did not address what would happen to the defendant’s alimony obligation in the event of a substantial change of circumstance. However, the agreement was based upon stipulated income for the defendant of $108,000 per year, and income for the plaintiff of $59,000 per year. In January 2015, the defendant involuntarily lost his job of twelve years due to restructuring which eliminated his position. The defendant received a severance payment of $35,000. In April 2015, three months after losing his job, the defendant received an offer of employment from another flooring company, but at a significantly lower salary of $70,000 per year, plus a $6,000 car allowance. The defendant accepted the offer of employment. The defendant continued to pay his alimony obligation of $330 per week because he had the severance payment from his prior employer to supplement his income. However, by November 24, 2015, the defendant had little funds left to continue meeting the alimony obligation of $330 per week, and sought a reduction is his support obligation based upon a substantial change in circumstance. In applying the aforementioned factors, the Court found that the reason for the defendant’s loss of income was a restructuring and elimination of his position at his previous employer. The Court also found that the defendant made legitimate efforts to obtain new employment in the same or similar field and did so in good faith relatively soon after losing his job. With respect to the defendant’s new employment, the Court first found that his decision to accept a significantly lower-paying job following the loss of his prior employment was in fact reasonable and appropriate under the circumstances of this case. Pursuant to N.J.R.E. 201(b), the court took judicial notice that losing a longtime job can be one of the most difficult and challenging events in a person’s life, particularly when the displaced employee is the primary financial provider in a family. Since the defendant acted reasonably in accepting lower-paying employment, the next question the Court addressed is what if any resulting support adjustment should occur that is reasonable and fair to both parties. After considering the parties’ financial circumstances and the criteria set forth under the alimony statute, the court decreased the defendant’s alimony obligation by $80 per week, from $330 per week to $250 per week. The Court re-ran the child support guideline worksheet. The Court used the defendant’s income of $82,000 and the plaintiff’s income of $59,000, with the defendant paying plaintiff alimony of $250 per week. The defendant’s child support obligation was modified to $194 per week. Cases involving modification of support and alleged changes of circumstances can be very fact sensitive and sometimes quite complex. The attorneys at the office of James. P. Yudes, P.C. have the experience to navigate such claims.